For many, the mere mention of Ayrton Sennaís name sends a tingle down the spine. Perhaps never before has a single racer meant so much to so many fans of all nationalities. 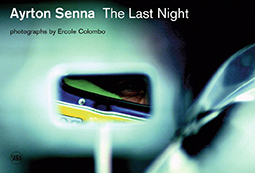 Giorgio Terruzzi tells the story of the legendary Brazilian racing driver, illustrated with one hundred photographs by Formula One photographer Ercole Colombo, covering his wins, defeats, the deaths of his friends, his rivalries and family relationships. It ends with a reflection on his last night, and the accident which tragically cut his life short. This beautiful book is available online via the publisher Skira or at Amazon. If you were inspired by our A-to-Z of car cleaning in the last issue, this pressure washer could speed up shampooing and rinsing your car. Available from Machine Mart, the Clarke Jetstar 1900 has a 2,000 Watt motor, with a maximum flow rate of 330 litres per hour. Integrated wheels make it easy to move as you spray and the five-metre long hose is ideal for washing SUVs or caravans. Thereís a built-in detergent tank for your cleaning solutions, and the lance can be adjusted to concentrate or widen the water jet. A brush is also included to help shift stubborn grime on wheels and bumpers. 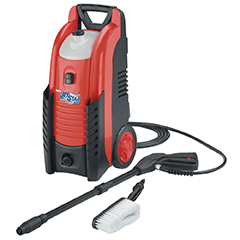 The pressure washer is available direct from Machine Mart at any of its national stores. When a fiddly job needs doing, the last thing you want to be doing is trying to complete it without any dedicated light, or searching around for a torch, only to realise the batteries have gone flat. The Laser Tools rechargeable head-mounted torch could neatly solve all of these problems. 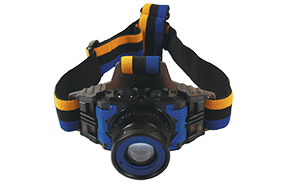 With a secure adjustable head strap, it will shine a light anywhere you look, so you wonít have to keep moving an inspection lamp. Not only that, but its polymer battery is recharged via a USB cable, with a full charge providing three hours at full brightness, or up to five hours in energy-saving mode. With a three-watt bulb, the beam can be focused and thereís also a strobe mode, too.